Find a farm, winery, orchard or ranch for your event! 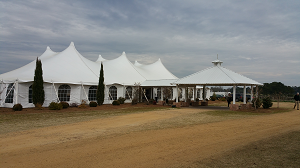 Whether you are looking for a beautiful farm setting for a wedding, reception corprate retreat, meeting, birthday party, family reunion or other event, many farms, orchards, ranches and wineries have developed extensive onsite facilities to meet your dreams and needs! And be sure to tell them you found their farm here - When the farmers or operators hear that visitors are finding the farm on this website, that encourages them to keep their information up to date - and it is free, so there's no reason not to! There is a "Start here" button (at the top of the left of every page). You then select your local area (country, state/province) and then region/county or local metropolitan area. Just scroll down the page that appears, to see tree farms,wineries or other venues listed by county. The search engine can be helpful, too. Click on your state or country below to find farm venues in your area!